I love JJ’s idea of”Random Fact Friday” so I thought I’d join in. Not sure if I’ll really post one every friday, but at least I’m willing to try. When I’m eating gummi candy or actually any kind of sugar candy which comes in a variety of colours and tastes, I usually prefer to sort them and eat them in a specific order: from the one I like least to the one I love most. This colour order usually is orange – white/yellow – green – red/pink. 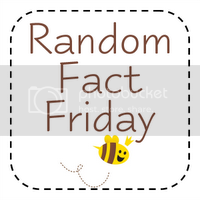 Random Fact Friday: Locked or Not? Hehe, I do the same! Skittles come to mind for me. Green first (not a lime fan), then orange/yellow and then purple and last red, because it is strawberry! Very nice to know that I’m not the only one. I’m not a fan of strawberry, so when red equals strawberry it usually comes between the orange and the white/yellow. Love it – very similar to my M&M sorting – we know how to eat candy the correct way ;) Thanks for playing along!